Systemic (oral or injected) corticosteroids as a long-term treatment for dermatitis. The AAD says that the potential complications are more significant than any potential benefits. Skin prick tests or blood tests such as the radioallergosorbent test (RAST) for the routine evaluation of eczema. The AAD says that when testing for suspected allergies, it’s preferable to conduct patch testing with ingredients of products that come in contact with the patient’s skin. Microbiologic testing for acne. 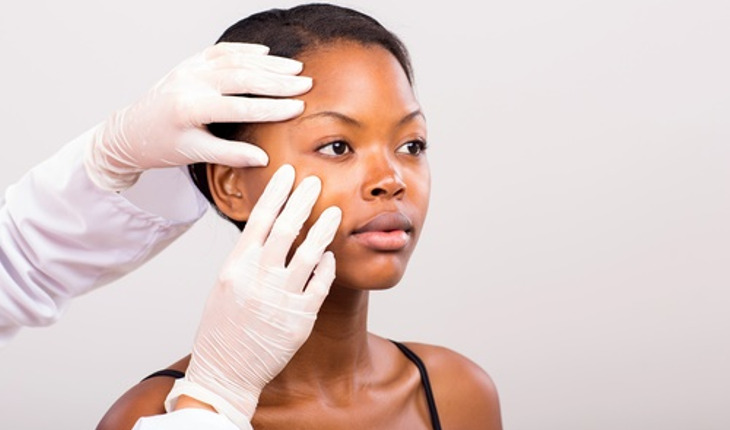 Used to determine the type of bacteria present in an acne lesion, the AAD says, it’s usually unnecessary because it does not affect the treatment of typical acne patients. The routine use of antibiotics to treat bilateral swelling and redness of the lower leg unless there is clear evidence of infection. The AAD experts say that research indicates bilateral lower leg cellulitis is very rare. Instead, swelling and redness of both legs most likely have another condition, such as dermatitis resulting from leg swelling, varicose veins or contact allergies. The routine use of antibiotics for inflamed cysts on the outer level of the skin. The AAD says it’s better to confirm that the cysts are infected before treating them with antibiotics. Oral antifungal therapy for suspected nail fungus without confirmation of a fungal infection. About half of all patients with suspected nail fungus do not have a fungal infection, the AAD says. Sentinel lymph node biopsy or other diagnostic tests for the evaluation of early, thin melanoma. The AAD says these tests don’t improve survival. The five-year survival rate for patients with these types of melanoma is 97 percent, and there is a low risk of the cancer spreading. Mohs micrographic surgery for nonmelanoma skin cancer less than 1 centimeter in size on the trunk and extremities. In patients with skin cancer on certain parts of the body, the AAD says, the risks of this specialized surgical procedure outweigh the benefits. Oral antibiotics for treatment of atopic dermatitis unless there’s evidence of infection. Antibiotic therapy has not been shown to reduce the signs, symptoms or severity of atopic dermatitis that is not infected. Topical antibiotics on a clean surgical wound. This treatment hasn’t been shown to reduce the rate of infection compared to the use of nonantibiotic ointment or no ointment, the AAD says. Exception: wounds received outside a surgical office, such as scraped knees or household accidents resulting in a cut or abrasion. For more information about skin health issues, visit www.ChoosingWisely.org and the AAD site, www.AAD.org.